Three years after an unsuccessful bid for a chance to design the U.S. Embassy in London, Morphosis Architects has won a different Department of State project: a new Embassy for Beirut, Lebanon. The firm was selected from a shortlist that also included Diller Scofidio + Renfro and Mack Scogin Merrill Elam/AECOM. The new Embassy will be located near the current facilities in Awkar, roughly seven miles from Beirut. The Embassy moved away from the capital in 1983, following a suicide bomb attack that killed 49 Embassy staff. A second bombing in 1984 killed 11. Restrictions on American travel to Lebanon were not lifted until 1997, seven years after the official end of the Lebanese civil war. U.S. Department of State spokesperson Christine Foushee said that while the history of the Embassy in Beirut is unique, the security requirements of the new building will not differ significantly from other Embassy projects. Every major project built by the Bureau of Overseas Building Operations (OBO) must meet certain security standards in order to qualify for funding from Congress, she explained. The OBO put out a public call for submissions as part of its Excellence in Diplomatic Facilities initiative. “All of the designers that were short-listed, we feel, are very capable of incorporating [security] requirements,” Foushee said. “The real challenge, and the place where we were looking for innovation and creativity, was ensuring that the security requirements were met, but were integrated seamlessly into the design.” After seeing Morphosis’s proposal, the selection committee was confident that the firm would design a secure Embassy that “doesn’t look like a fortress,” she explained. The firm’s commitment to sustainability also impressed the OBO committee. According to Foushee, sustainable design, including planning for storm water and waste water management, is especially important in a project, like the new Embassy, that includes a housing component. Morphosis furthermore demonstrated an understanding of the OBO’s need for flexible interiors. “We have a need for sometimes accommodating a quick surge in staff,” Foushee said. An adaptable design will allow the Embassy to provide housing and office space for extra employees without additional construction. Finally, the design selection committee appreciated Morphosis’ experience working with technologies including 3D modeling. Integrating technology into the design process “is important for controlling costs, but also ensuring the quality of the project,” Foushee said. 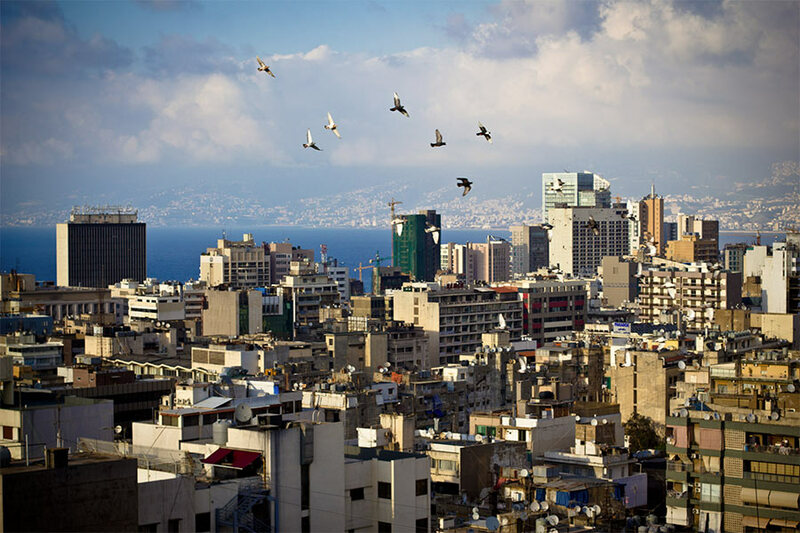 The design contract for the Beirut Embassy will be awarded during FY 2014, either before the new year or at the start of the 2014 calendar year, Foushee said. The construction contract will be awarded during FY 2016.